Construction of the 7.5-MW Pueblo small hydro project is well under way, with operations expected to begin in the spring of 2018, according to the Southeastern Colorado Water Conservancy District. The plant is the first hydroelectric feature added to the Fryingpan-Arkansas Project since the completion of the 233-MW Mount Elbert pump-back hydroelectric plant at Twin Lakes in 1981. This new facility, on the Arkansas River, will be able to generate electricity at flows ranging from 35 cubic feet per second to 810 cfs. The powerhouse will contain three turbine-generator units and will use the authorized release from the dam to the Arkansas River to generate an average of 28 million kWh of electricity annually, which will equate to about $1.5 million in average revenue per year. Electricity generated will be purchase by the city of Fountain and by Colorado Springs Utilities. After 10 years, Fountain will purchase all of the power generated for the following 20 years. The total capital cost of the project is estimated to be $19.5 million, which includes a $17.2 million loan from the Colorado Water Conservation Board. The planning and permitting process for this hydro facility began in 2011. 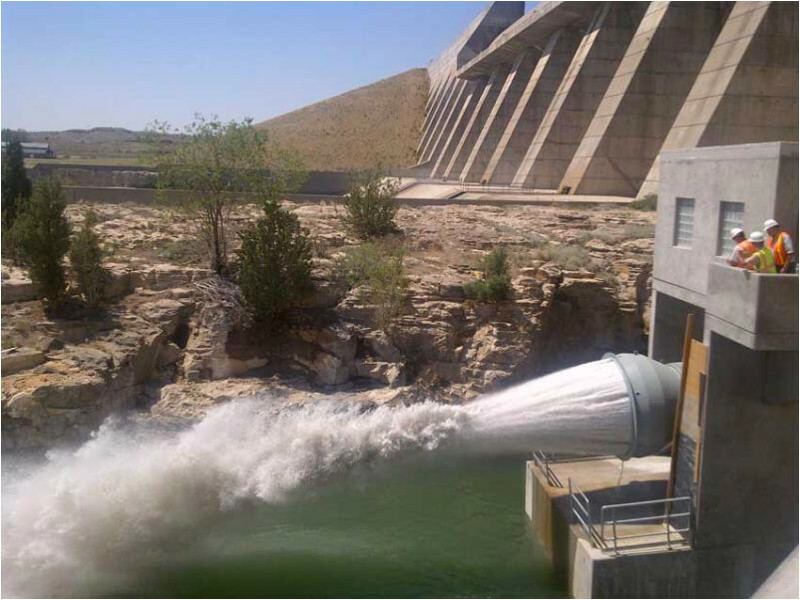 Because this facility is located at Pueblo Dam, owned by the U.S. Department of Interior’s Bureau of Reclamation and will connect to a pipeline also owned by Reclamation, the project required a Lease of Power Privilege. The preliminary LOPP was granted in February 2012, and the final LOPP was granted in April 2017. The final design of the facility was completed in June 2016, and the construction contract was awarded to Mountain States Hydro in August 2017. The district says construction complete and commissioning will occur in August 2018.